Are you looking for really good TV shows like Narcos full of action and people who are raking in the money but barely holding on? Narcos does its best to give you an inside look into the life and times of famous drug lord Pablo Escobar. This Netflix original, filmed in Columbia, is one of several popular TV shows about the drug culture of today. 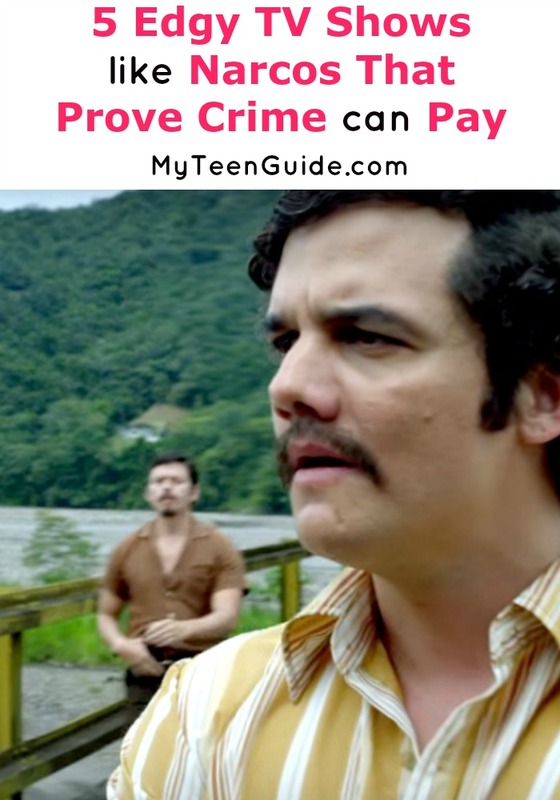 Keep reading, to learn about five more great shows like Narcos, some of them you can even watch on Netflix! Walter White is a high school teacher with terrible luck. Recently diagnosed with cancer that can’t be cured, the chemistry teacher makes the decision to start selling meth. What better way to make sure his family remains solvent after he’s gone? With the help of one of his past students, White embarks on a life of crime. The problem is that peddling drugs is much more dangerous than he ever imagined. And, what about his family? Can he keep them safe and keep his secret at the same time? Breaking Bad aired a total of 62 episodes, over five seasons. You can also find Breaking Bad on Netflix. The Wire, which debuted in 2002 on HBO, is a Baltimore-based crime drama written by a former police reporter. Each season, five in total, introduces you to a specific institution and showcases its relationship to local law enforcement personnel. One of the coolest things about the series is the fact that many prominent individuals from Baltimore and outlying areas make guest appearances on the show. Some of them ended up being so popular after their first appearance, they were given reoccurring roles. The Wire aired until 2008. The Corner is a six-part miniseries, also produced by HBO. It debuted in 2000 and was released on DVD in 2003. The show is based on a nonfiction book that showcases the life of a poor family living in one of Baltimore’s worst drug-infested neighborhoods. The actual “corner” it refers to is the point where North Monroe Street (U.S. Route 1) crosses West Fayette Street. Khandi Alexander and T.K. Carter both have starring roles in the series. Better Call Saul is a spinoff and prequel of Breaking Bad. Meet Jimmy McGill. He’s a criminal lawyer, practicing in Albuquerque, New Mexico. He’s also six years away from interacting with Walter White. But, that’s a completely different story. McGill wasn’t always a lawyer. He was a scam artist. So, getting involved with the criminal world was somewhat of a natural progression. Don’t you think? Throughout the approximately 30 episodes, you’ll learn more about the trials and tribulations he faces and all of the crazy things he does to recover and stay alive. Season three, starring Bob Odenkirk, is slated to air sometime in 2017. Better Call Saul is a Netflix original series. Weeds aired a total of eight seasons. So, if you enjoy shows that you can binge-watch for days on end, this is the perfect candidate. It all starts out very innocently. After the sudden death of her husband, Nancy Botwin starts selling weed to support herself and her two boys. As time goes by, Nancy and her family get more and more involved in illegal activities, which forces them to move around the country. Eventually, she gets caught, serves a prison sentence and ends up in a halfway house. The big question is this. Will her family stick by her through thick and thin? Tune in or stream Weeds on Netflix to find out! These are five TV shows like Narcos that I love to watch. Have you watched any of them? If so, feel free to leave your comments or feedback below. On the other hand, if all of the shows are new to you which one are you going to watch first?